On my last visit to Jaipur I had quite a few places to visit on my list. Food-joints mostly. Of the list was Tapri. For my love of the Indian beverage “Chai”/Tea. Tapri means make-shift joint. 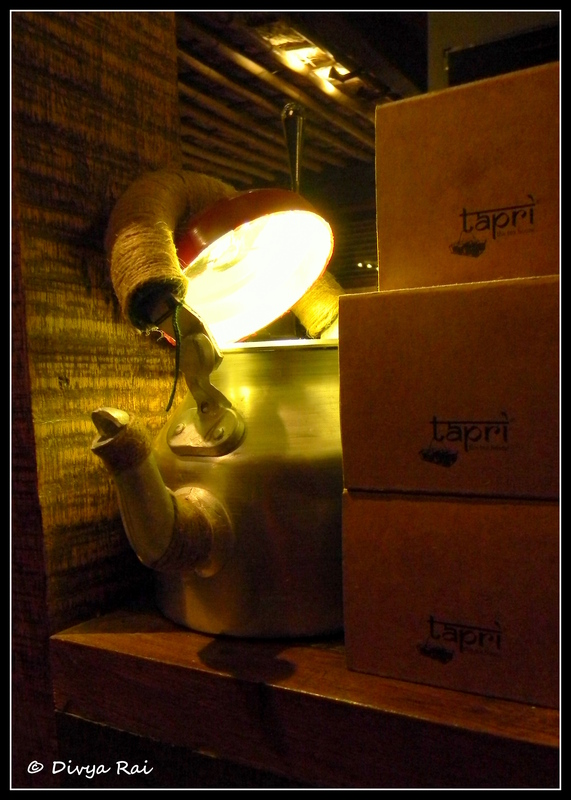 Though this one is far from make-shift, but it does serve the purpose of a tea-joint, albeit an up-market one. I think the likes of these are much needed in every city. It has always been beyond my comprehension as to why, even after being a tea-drinking nation, we do not have dedicated mid-market eateries for ‘chai’. And when did we become so comfortable shelling out 300 bucks for a cup of coffee but even 1/10th the price for a cup of ‘chai’ seems expensive. With this mind,I figured out a vacant slot of two hours on the first day and decided to swing by. 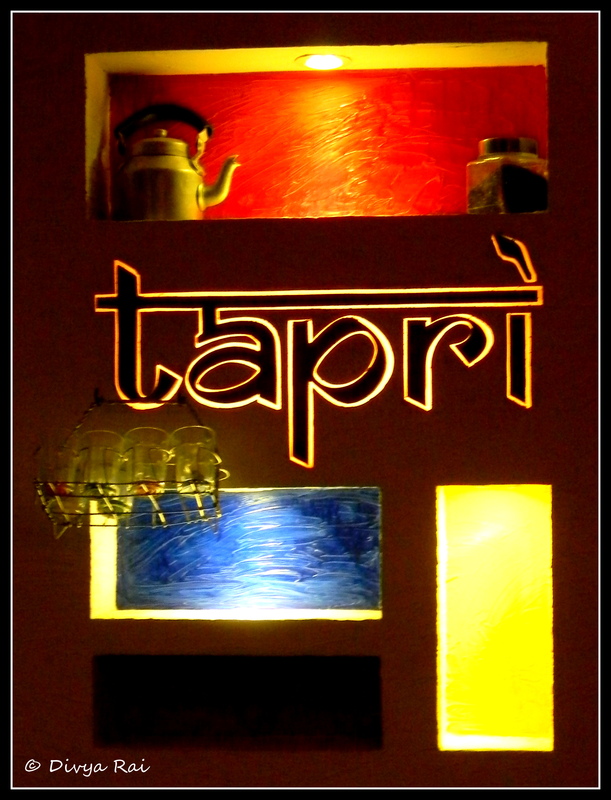 Tapri is a roof-top eatery which, honestly, is not easy to locate. But the good thing is that the staff is quite patient in explaining the route/location, when you call them 4 times before you are finally able to show up at their door-step. I am told, they have two outlets. I went to the one at C-Scheme, which is newer of the two. I had a few other non-touristy pursuits lined for the evening and had gone to this place with an intention of spending 45 minutes or so. But God had other plans. I fell in love with the place when my elevator door opened, and ‘other pursuits’ took a back seat for the evening. They have three seating-sections: the reading lounge, the indoor area and the out-door area. Each has its own charm, but any place with a dedicated area for reading is always a little more favourite with me. This place had one.The reading lounge has music playing a few decibels lesser than the rest of the place. I could live here! 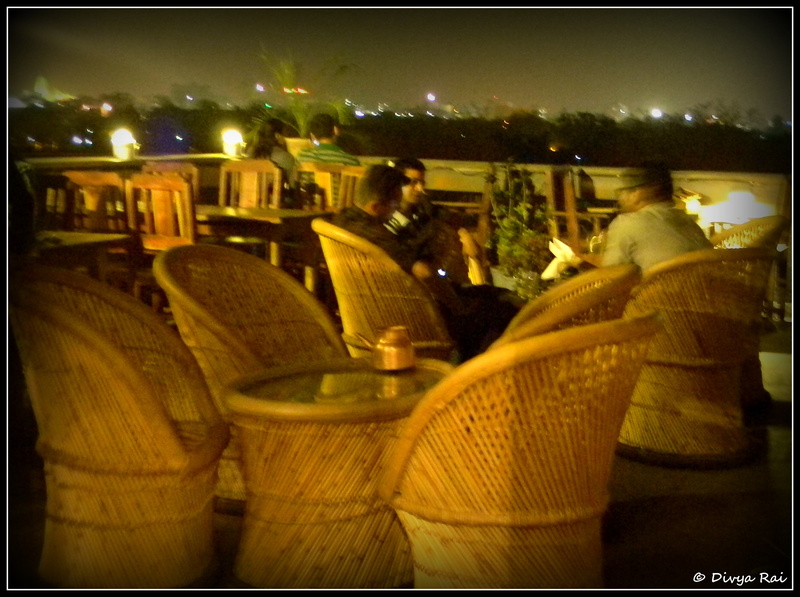 I chose to sit in the indoor seating section on the summery evening, with a cup of chai and bowl of ‘bhelpuri’. In half an hour, I was done with my chai and snacks. The quantity left room for nothing more, while the menu tempted me with Masaala-Maggi, vada-pao, sandwiches and poha. 😀 The bane of being a foodie!! The place was buzzing with youngsters and big bunch of young people. Most of them seemed regulars here. But so were the solo book-lovers enjoying the books and the evening. I could so relate with the place. In my opinion, the thing about people and places is that, while you like the general idea of their being, it is the little details that you fall in love with. With this place, it was same. At least, for me it was. The lamp that is inspired from the kettle. Notice the jaipur-skyline from the roof-top section. It was one of my favorite places to hang out with my friends! This post brought nostalgia.